Food cravings – what do yours mean? What’s your secret food fetish? Do you crave gingerbread men or have an uncontrollable urge for carrot cake? Is it impossible to start the day without a shot of coffee or do you feel deprived if you can’t enjoy a slice of hot buttered toast? Most of us know the feeling of wanting just one particular food – when absolutely nothing else will do. Before Doreen Virtue became synonymous with angels, she focused on eating disorders. She reckons that craving foods isn’t greediness, it’s a psychological cry for help. Even more interestingly, she claims the precise foods we crave can give clues to our unspoken emotions. She’s not talking about the foods we like and eat when we are physically hungry, but the foods we gulp down when we are emotionally hungry. But how can you tell the difference? “Emotional hunger is sudden,” says Virtue, “one minute you’re not thinking about food; the next minute you’re starving.” You crave a specific food, not just food in general. Often it’s linked with an upsetting emotion – your boss yells at you and you want to eat. You often eat on “automatic pilot”, as if someone else’s hand is scooping the ice cream into your mouth and you don’t stop eating when you are full. Almost always emotional eaters feel guilty about eating and almost all emotional eaters have a problem with their weight. Virtue recommends we notice which precise foods set off our cravings – food craving analysis, she says, offers a brilliant way to understand what is going on in our emotional lives – without visiting a therapist. “You start by identifying the food you crave and work backwards,” explains Virtue, “Once you’ve identified the food you crave, the underlying emotion stares you plainly in the face.” Once you’ve recognised the problem, you can investigate further and take the healthy second step of asking what causes your problem – from here, it’s often simple to see what needs to be done to redress the balance. Check out Doreen Virtue’s book Constant Craving: What Your Food Cravings Mean and How to Overcome Them for the full story but here are some of the most common – and most curious – cravings and what they supposedly mean in emotional terms. What’s yours? WHAT DOES YOUR CRAVING MEAN? Artichoke hearts, marinated: Fatigue. Desire for energy, enthusiasm, motivation. Avocados: Fed up. Wanting to replace a high stress situation with something that suits you better. Baked beans: Desire for a holiday, time off, change of career or more fun. Beef, with horseradish: Boredom at work. Desire for a more exciting career. Bread, with butter: Frightened of making changes or taking action. Bread, with jam: Anger, hurt feelings, Exhaustion. Cake, carrot: Insecure and worried, either about your job or a family member. Cake, coffee: Fear. Feeling alone. Desire for warmth, friendship and love. Cheese, mild: Feeling dejected, down or depressed. Desire comfort and reassurance. Cheese, strong: Braced for the worse and feeling exhausted and drained. Cheeseburger: Fear of failure. Frightened by sense of inner emptiness or inadequacy. Chicken, baked or roasted: A desire for parental love, harmony in the family. Coffee: Career burnout. Desire for motivation and change. Crisps: You feel stressed and want to ease your worries. Doughnuts, jam: Drained by chronic stress. Want renewed joy and energy. Eggs, fried or scrambled: Dread. Can’t face the day’s activities. Fruit, crunchy (ie apples, pears): Tension. Stress-filled lifestyle is depleting your body’s vitamins and minerals. Fruit, soft (ie melons, grapes, strawberries): Fear. Overattention to everyone else’s needs. Fudge: Craving for love and a good relationship. Garlic bread: Want to escape from a very intense situation. Hamburger: Feeling insecure and unclear. Wanting direction, motivation and energy. Hot dogs: Desire to return to simpler, more carefree times. Too much responsibility. Hummus: A desire for energy and enthusiasm. Ice cream, chocolate chip: Fear and anger. Love life is unsatisfying which triggers self-blame and depression. Ice cream, double choc chip: Feeling that love is being withheld or removed. Frustration that your partner won’t change. Ice cream, strawberry: Wanting a fresh start with renewed vigour. Ice cream, vanilla: Tension and fear. Desire for optimism. Need to be soothed and renewed. Kit Kat: Your decision not to settle for the wrong mate or inappropriate behaviour leaves you feeling lonely or abandoned. Lasagne: Trying to block awareness of emotional pain. A desire to shield oneself from attack. Licorice: Indecision and confusion. Worry about making the “wrong” choice. Liver: Financial and/or family insecurities create feelings of emptiness. Lollipop, bitten or chewed: Blaming others or the world for your stress or challenges. Lollipop, slowly dissolved in mouth or licked: Feeling lonely, bored or discouraged. Mayonnaise: Desire for comfort and a boost in mood. Mustard: Feeling deprived. Life feels stressful. Nuts: Tension, too much stress and not enough fun. Oatmeal: Wanting direction in making a decision. Onion rings: Feel sad that your family don’t seem to appreciate you. 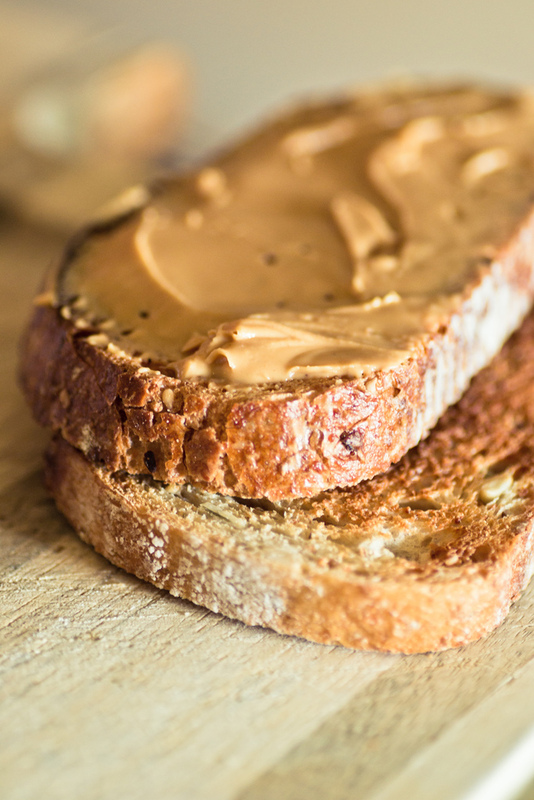 Peanut butter (crunchy): Angered by heavy workload; think everyone else is having fun. Too much work, not enough play. Pickles: Feeling stressed and drained, a desire for energy. Popcorn: Procrastinating over starting a project because of fears of failure. Rice, brown: Hectic schedule has depleted you. Need to slow down and rest. Rice, white: Desire for feelings of stability and security. Salad dressing, creamy: Desiring true happiness. Depression, exasperation, frustration. Salad dressing, vinegar-based: Desire for motivation, feeling burned out or bored. Salt: Fear and insecurity; feeling that you are vulnerable to loss. Sugar: Tension and fear, wanting to hide from problems. Sushi: Tired of feeling bored. Tea: Feeling pushed by a tough schedule. Tiramisu: Desire to shed nerve-wracking tension and replace with refreshing wave of energy. Toast, plain (crunchy): Frustrated. Progress seems thwarted. Toast, with butter: Feeling trapped; procrastinating. Toast, with jam or marmalade: Tired and overwhelmed. Crave relief and energy. Toffee: Tension. Frustration about constant struggles. Vegetables, crunchy (ie celery, carrots): Tension. Stress-filled lifestyle is depleting your body of vitamins and minerals. Vegetables, soft (ie avocado): Fear. Overattention to everyone else’s needs and not enough focus on your own. Yogurt, fruit-flavoured: Desiring a fresh start and a renewed outlook. Yogurt, vanilla: Resistance to moving forward or making changes. Desire to keep the status quo. I’ve just had a look at mine and…no, no way – they’re way too revealing!